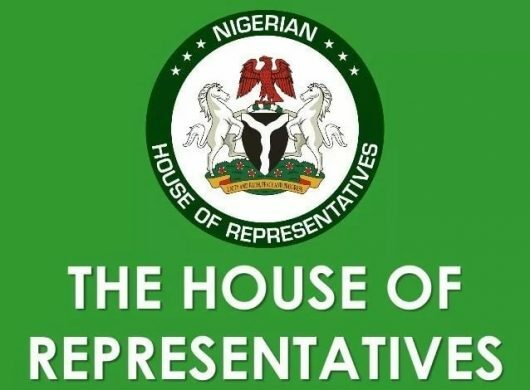 The House of Representatives yesterday moved to investigate President Muhammadu Buhari’s administration over the recent decision to issue licenses for the importation of fish into the country instead of evolving policies that can encourage local content. The lawmakers equally called on the executive to as a matter of policy make deliberate attempts at discouraging importation and create a conducive environment for local fishermen and fish farmers to obtain loans with a view to improving their capacity to meet local demands for fish. The resolution of the House followed the adoption of a motion under matters of urgent public importance brought by Hon. Jonathan Gaza Gbefwi, (PDP, Nasarawa), who noted that “in the last few years, Nigeria has gone through a recession and had resurfaced, and this recovery can be attributed to he diversification of our economy especially in the field of agriculture”. He said: “Fisheries which is an important subsector of Nigerian agriculture with the country being rich in perennial rivers and lakes like Kainji and other dams and ponds and has also attracted other large influx of fish farmers using latest technology leading to an increase in fish production and employment”. “In the past, the minister of agriculture in a meeting with the Ijebu Initiative on poverty reduction sometimes in 2017 in Abuja stated that the federal government will stop issuing fish importation quota to importers, saying the venture was no longer sustainable. “ Frantic calls have been made to the government by various quarters including this hallowed chambers to ban the importation of fish into this country as it has negative effects on our economy and also on our health as we cannot ascertain the total health status of fishes imported into the country at all times “, Gaza said. He expressed worries that despite pronouncements by the federal government to ban fish importation in a video to encourage local farmers to support federal government diversification policy, licenses are still given to importers who have turned Nigeria into a dumping ground. House members in their contribution to the debate roundly condemned the development, saying there’s need to ban fish importation and boost local production of fish in Nigeria. While the deputy speaker, Sulaimon Lasun called for policies that can encourage local farmers and fishermen in the country to expand or increase capacity, by way of credit facilities at reduced interest rate from the current two digit to a single digit with a repayment regime that’s favorable, Hon. Abdulrazak Namdas called for a framework that enables proper monitoring of incentives that would be given to local producers or farmers. Namdas, (APC, Adamawa), also called for initiatives that enable local farmers and industry operators to shore up whatever shortfall that would be created from any total ban on fish importation. The same sentiment was reechoed by Ossai Nicholas Ossai, (PDP, Delta), who said that since the motion calls for investigation, the House should also look into the management or disbursement of the N200bn by the CBN for anchor borrower programme of the federal government. Mohammed Their Monguno (APC, Borno), who chairs the House committee on agricultural produce and services said fishery has over the years been subjected to government neglect with a very wide margin left by local fish producers leading to importation of fish by traders. At this point, speaker Yakubu Dogara who presided over the session asked Monguno if there’s a specific buffer that protects local production of fish in the nation’s agricultural policy framework. Monguno responded saying that he’s not aware of any deliberate policy of encouraging the youth and women in aqua culture in the country to enable the adequate production of fish for local consumption in Nigeria. The motion was thus put to question and passed as adopted via a unanimous decision, with the investigative panel yet to be set up.